The building comprises a nave with slightly lower chancel without internal division in the fabric and the lowest stage of a former west tower now forming a lobby to the nave. There is evidence of a 2-bay former south aisle and a single bay south chancel chapel. 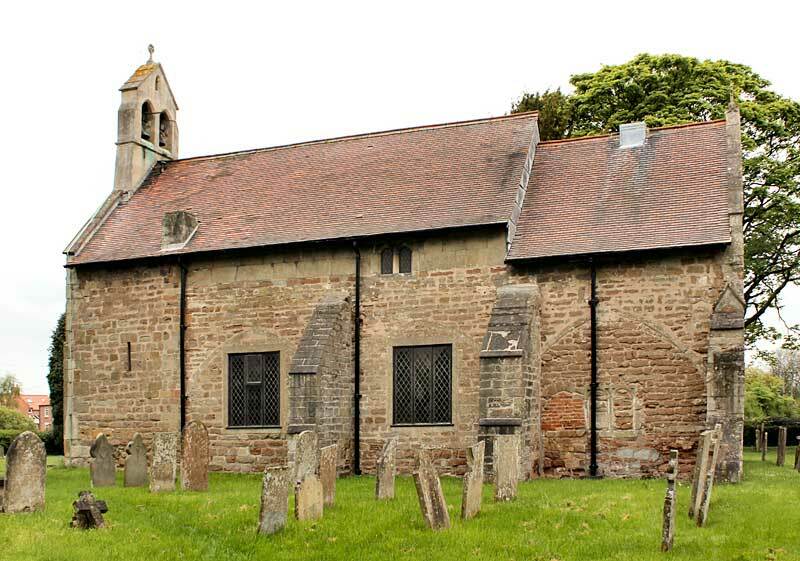 The nave has a diminutive clerestory of uncertain date, but perhaps of the 16th century. 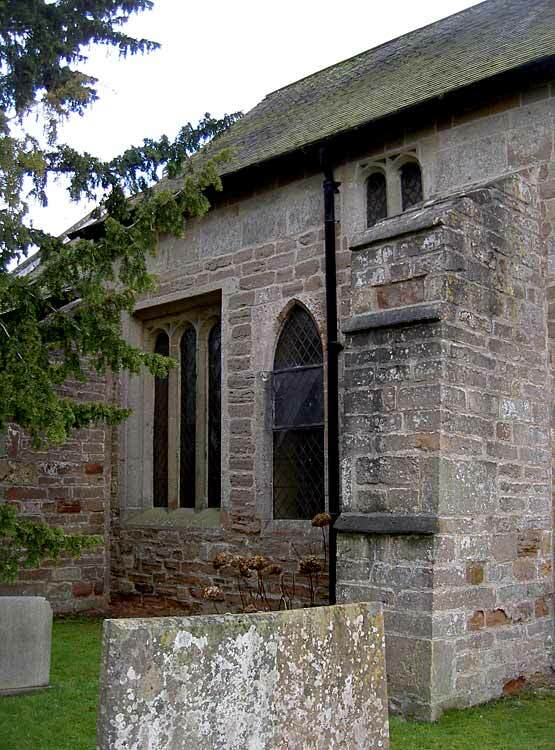 The church probably dates from the 12th century, with a fine Norman west doorway with two orders of chevron over and two narrow windows of the same period in the former west tower. A number of the details in window stonework indicate possible re-siting from the original nave and chancel. The sequence of building and alteration on the south side is difficult to establish. Originally probably a simple nave, chancel, and tower, an arched opening to a side chapel was added in the south wall in the 13th or 14th century, and around the same time a south aisle of two bays; this was demolished in 1796 and the arched openings were built up with stonework. Perhaps covered by the current plaster on the inside is evidence of the east archway being built up with the piscina re-fixed from elsewhere and a doorway added. The south aisle may have been the full length of the original church. The south-east buttress also contains the remains of a former medieval window jamb now incorporated into its eastern side. 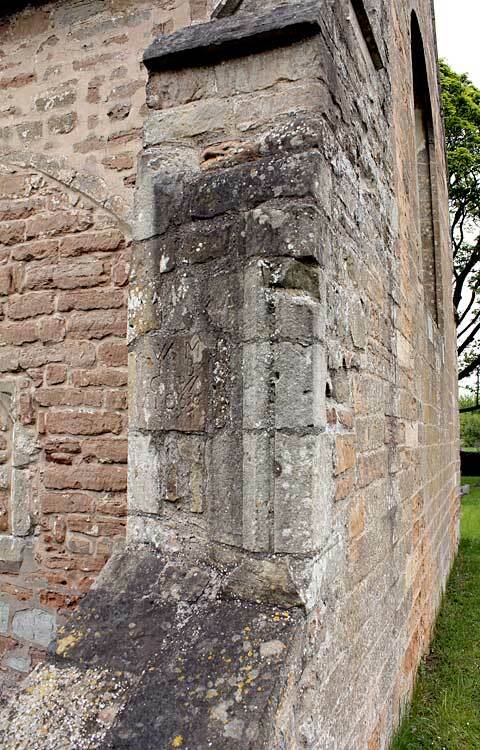 The blocked window in the south chancel wall appears to have been reformed from elsewhere before being built up with stone at a later date. A sketch, ink wash on paper, of 1773 shows no evidence of the two large north buttresses and it is possible that these buttresses, and perhaps also the two south buttresses were built after this date, maybe in 1844 when the chancel was reported to be 'rebuilt'. This may have occurred due to structural movement. They were added before the works in the 1890s. The two windows in the middle of the north wall perhaps replace smaller ones added at the time of the demolition of the south aisle, and appear to be part of the refurbishment works of the 1890s. Stonework is simple and there are wooden window frames. Plain glass matches other glazing in the church. 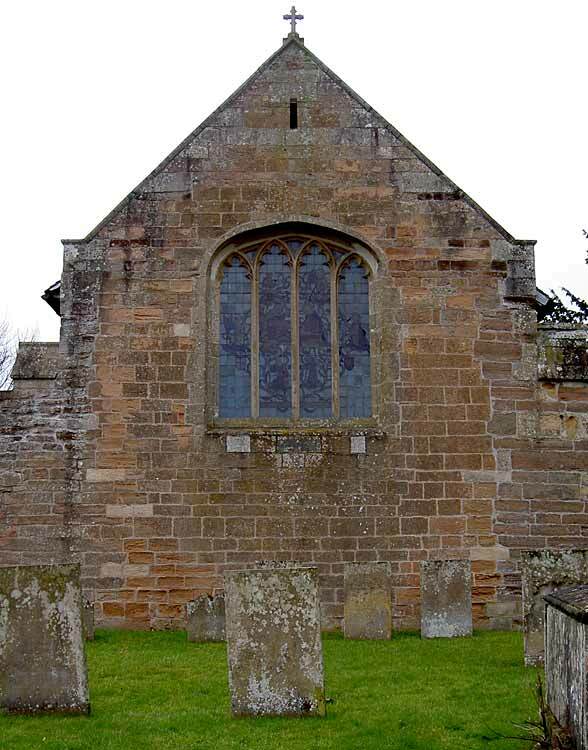 The south-east corner buttress appears part of the original, although the east chancel window is of 14th-century style, but probably the east elevation and east wall have been largely rebuilt and the window raised at a later date when the chancel floor was heightened. The window was originally plain with stained glass replacing the plain glass in the 1960s. 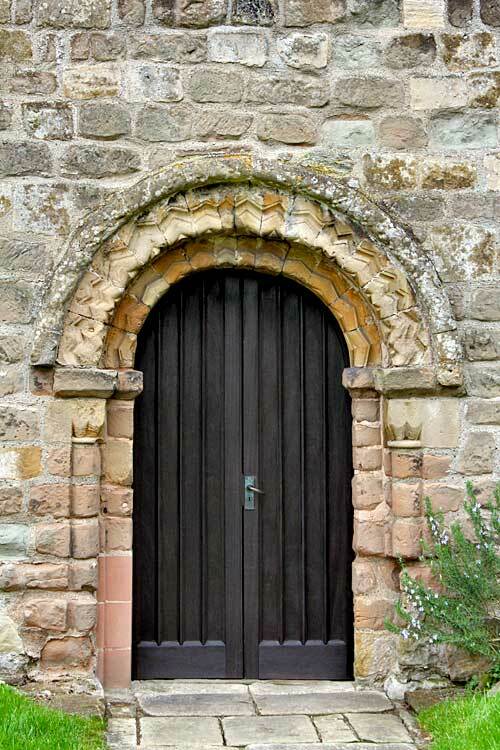 There is evidence of a built-up opening over the north door, perhaps a further window or recess for a bell, and a former north porch removed. Buttresses flank the north and south elevations and appear to indicate past structural movement. The window placed centrally in the north wall of the original nave is of 13th-century design. 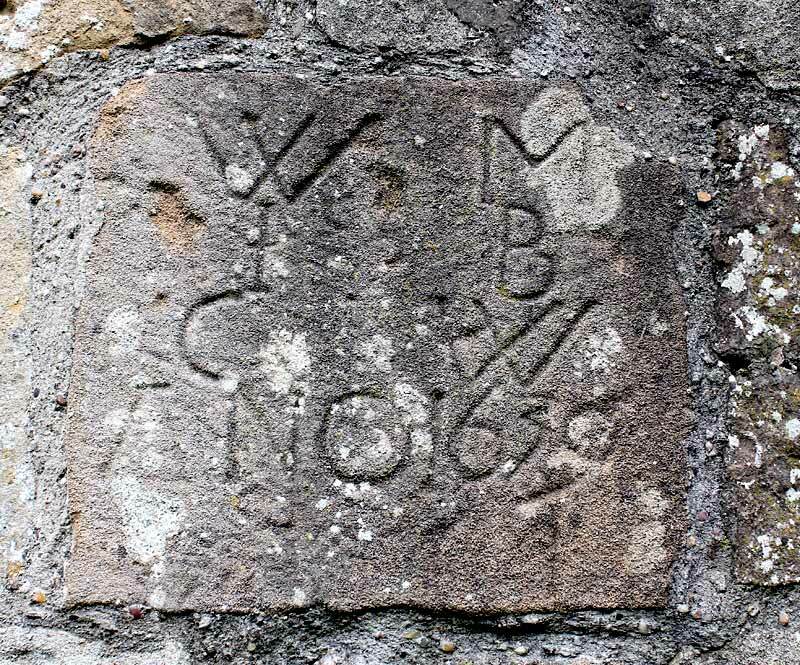 A north doorway is now blocked with stone and there is no evidence now of a north porch which shows in the sketch of 1773. The doorway is almost obscured on the outside by a stone buttress, built before 1890s. There is a 19th-century window opening over the west doorway with stained glass of the 1920s. In 1773 the roof appears to have been flat, probably leaded with parapets. The work of the 1890s included extensive rebuilding work, with a new pitched roof with plain tiles replacing the lead. 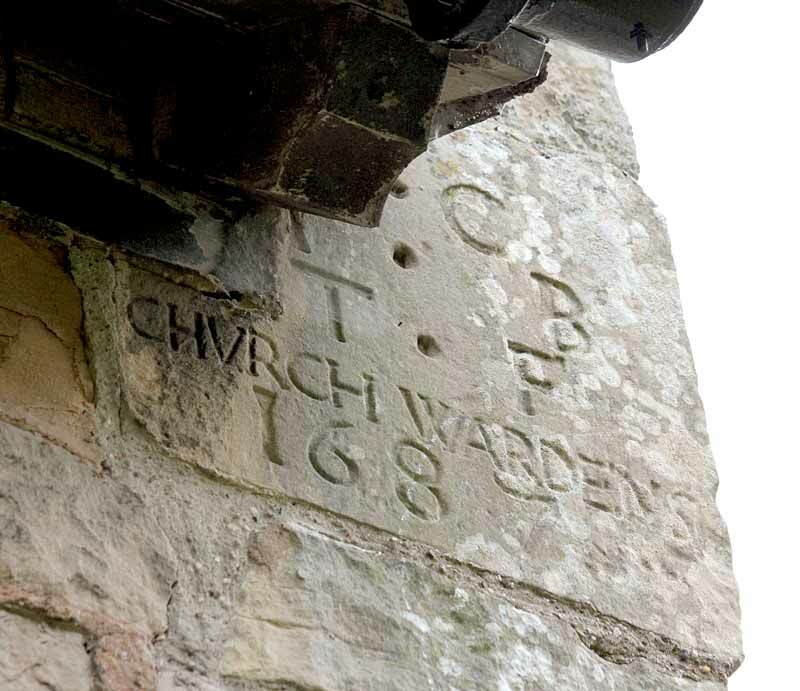 There is a curious use of stones at eaves level in the nave on both sides where it appears that stone pavings have been used, perhaps in the early/mid 1800’s but before the 1890’s alteration works. At the time heating was shown existing in the church with a stove. A brick lined pit in the nave with cast iron gratings over was presumably for coal for a stove. There is a further circular cast iron cover in the porch. During the 20th century the chimney was reduced in height, probably as the heating system came into disuse. There is little evidence now of a west tower, which was illustrated in 1773 with a wooden top and later by 1868 with a brick upper part. However, internally it is evident from the thick east side walls that form buttress-like protrusions into the nave. The present stone double bell turret replaced the brick top in the 1890s. The extent of below ground archaeology is unknown. The foundation stones of the south aisle and the north porch may well still exist below the ground surface. 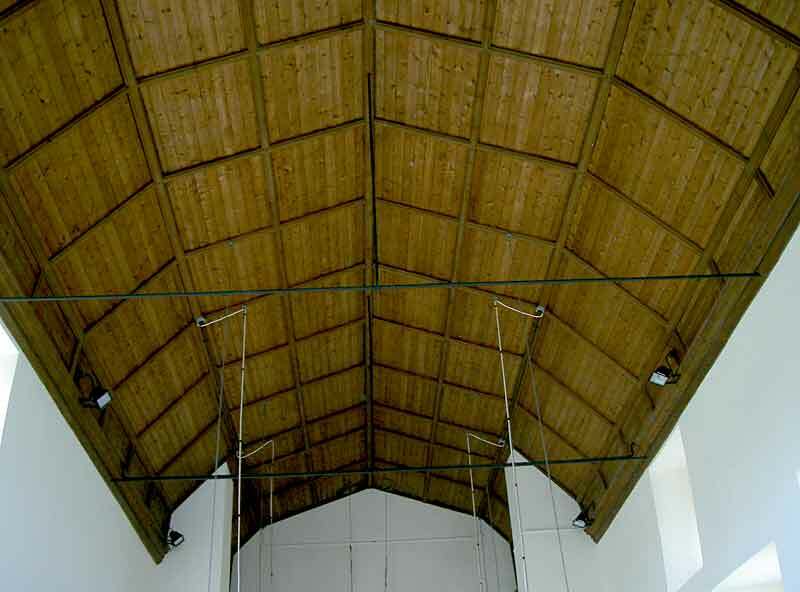 Six panels formed on a curve with reduced panels at wall plate and curved arched brace between nave and chancel. All probably 1897. As nave except formed into seven panels. All probably 1897. n/a (former west tower is a simple continuation of nave). 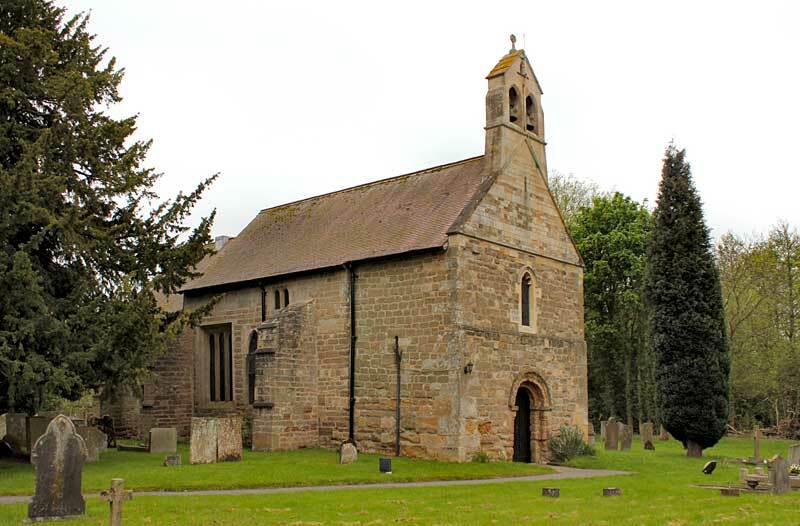 Bellframe: Stone double bellcote on west gable, Elphick type A, Pickford Group 9.A. c.1890. Potential for wall paintings Unknown. Unknown. Unknown but unlikely. The fabric dates from the late C12th to the C19th, and much remains intact throughout from these periods. 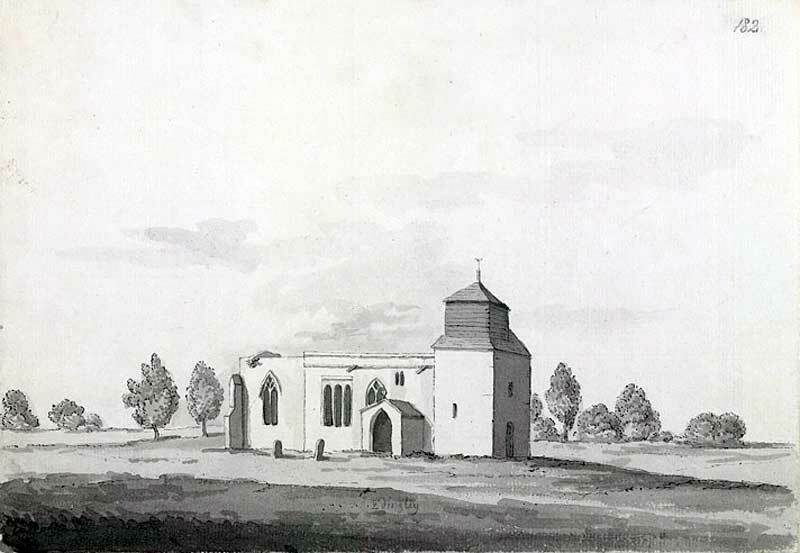 There were restorations in the 1790s, 1844, and 1897; the east wall of the chancel was probably rebuilt, the south aisle demolished, the remains of the former west tower modified, and the roofs replaced. The churchyard is square with the church offset to the south side. There are burials on all sides. The overall potential for the survival of below-ground archaeology in the churchyard is considered to be HIGH comprising medieval construction evidence, the remains of the south aisle and south chapel, burials, and landscaping features, with some evidence of the C18th and C19th restorations. Below the present interior floors of the church it is considered to be HIGH-VERY HIGH comprising medieval-C19th stratigraphy possibly with medieval and post-medieval burials; evidence of the Norman tower may survive at depth at the west end. The archaeology of the upstanding fabric throughout is medieval and its archaeological potential is HIGH-VERY HIGH. Exterior: Burial numbers expected to be average, with later burials mainly to the north. Interior: Stratigraphy under the entire building is likely to be medieval with later layers and C18th and C19th restoration evidence. In the body of the church the stratigraphy may possibly be punctuated by medieval and post-medieval burials.